Is your staff asking the second question? Most people reading this article probably are members of several loyalty programs. Some are franchisees whose systems have a loyalty program they and their staff have had to implement. From a franchisee’s perspective, they want the best possible loyalty technology with all the latest bells and whistles. And if a competitor has a better loyalty program or cooler technology, their franchisor needs to follow suit. There is no doubt that technology is advancing at such a fast pace that there will always be something new you may think is better than what you are currently using. At FPN Loyalty, we are constantly vetting new technologies to optimize loyalty program performance and outpace the competition. However, no matter how cool a new technology may seem, or what the potential rewards of implementing it may be, my ultimate test is whether it is simple enough to execute at the store level and engage as many customers as possible. If your staff will not work with it, it simply will not be successful. 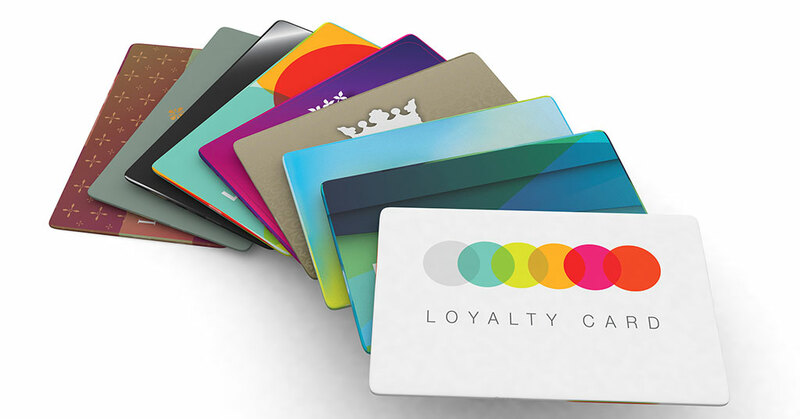 Let me tell you about two experiences I recently had with loyalty programs. There is a Panera Bread near the gym where I work out. I go there early on Saturday mornings, and at least twice a month for my 13-year-old daughter, who asks me to bring back a cheese soufflé. Panera seems to have a great loyalty program that’s completely integrated into their POS system, and they have done what would seem to be an excellent job training their staff. Every time I place my order, the service staff asks if I am a member of their loyalty program. Every single time, no fail! Every employee I encounter. Sounds like great execution, right? Wrong. The problem is I am not a member. And, every single time, I respond that I’m not a member. Yet not once has a single employee ever asked me if I wanted to join. Not once! After several months, I went in on a day the store seemed understaffed and the manager rang me up. He asked if I was a member. I said no, and he also didn’t ask me if I wanted to join. I couldn’t take it any more! I asked him why no one ever asked the all-important second question: Would you like to join now? Instead, he just looked at me and said he never really thought about it—and then asked if I wanted to join. I politely declined. And still, to this day, I get asked if I am a member, but I’m never asked to join. In addition, there is also nothing by the registers that mentions the program or how to join. According to Panera’s Q2 financials, 26 percent of all sales are digital (online or mobile orders for pick-up), and 50 percent of their total transactions can be tracked back to a customer in the loyalty program. Imagine how much better it could be for them if their staff were fully engaged. Second example. I was having dinner with some of our team members at Del Frisco’s recently. When we asked for the check our server asked if I was a member of the loyalty program. I said I thought I was and gave her my phone number (that’s how they track it). When she came back she said I was not in the system, gave me a card that explained the program and how my points would add up, and handed me the registration card (kind of old school, as most now are online). She went on to sell me on the benefits of the program and how it made sense for me to join. I signed up right away. And since they now had all my contact info, that same server sent me a handwritten thank-you card thanking us for coming in and dining with them! Del Frisco’s program is not as high-tech or fancy as Panera’s, but who do you think is getting the better return on investment and delighting their customers more? Loyalty programs, no matter how sophisticated, succeed or fail with staff execution! No matter what plan you put into place, you can not optimize results if you and your staff do not embrace the plan and execute on the basics of engaging your customers. We manage loyalty for a national chain with more than 400 locations. These guys are fanatical about engaging their customers. Each employee knows that every time someone comes in they must give their phone number to see if they are in the loyalty program. If not, they are handed a card at the POS and registered on the spot. At this brand, three of every four transactions are from a customer they actually know something about. If a customer is fully registered, they know where they live, male or female, age, etc. How effective could your marketing be if you gained such rich customer data? How effective would your future site selection be if you knew where people were coming from to visit your current locations? How effective would your product mix be if you knew who was buying what, how much, and how often? Think about it. Kinda makes you want to train your staff on this and pay more attention to your month-end reports.